Hiking is like walking around town but with little air pollution, no neighbors, and the opportunity to align with Mother Nature. It is, until 5 miles from the trail-head when your Smartphone loses reception, your 2 lb back pack feels like 20, your feet hurt, you break a sweat and you attract animals and bugs. Of course we know that all things are good in moderation and low effort-high reward situations are nothing to be looked down upon. But, here I show you 2 super hikes for those of you who want to be able to take a hot shower and hit happy hour afterwards without feeling like you are going to collapse from exhaustion, have a look please. This hike is found in Zion National Park, Utah. 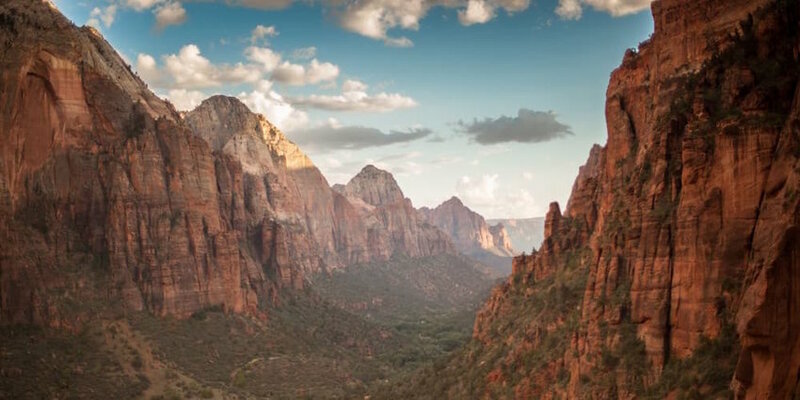 The Watchman Trail is a fairly flat, 3-mile round-trip hike that is more than worth it. The photo backdrop is a valley bursting with vibrant green trees that hug the shore of a winding blue river. And the majority of the trail is in direct Sunlight, so sunscreen is recommended. When you get back to your car, head Zion for a good meal and a drink round out your wholesome hiking adventure. 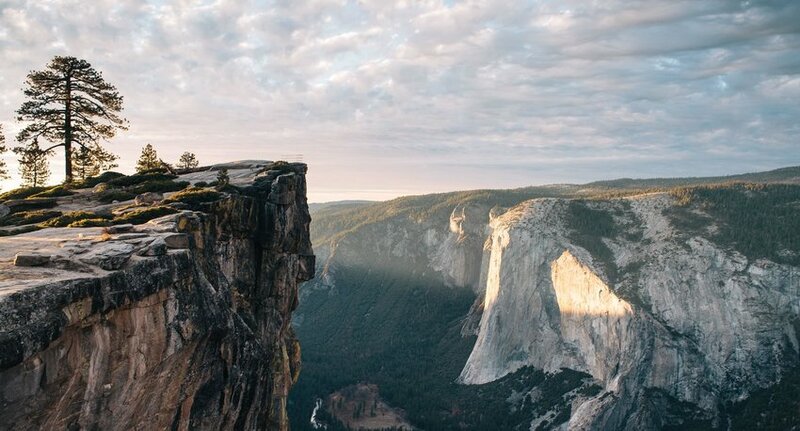 Over at Yosemite Park in California, there is a hike that’s just over 2 miles with spectacular over views. Taft Point overlooks the Yosemite Valley from 7,503 ft above. For you reference, that’s just a few feet shorter than the tallest building in the world, Dubai’s Burj Khalifa. To celebrate, head over to the Yosemite community and to dine and continue the sightseeing out of the floor-to-ceiling windows at Mountain View Restaurant, prop up your feet and cool down. Both of these sites are easy to get to and very accessible. Who knows you might take on a more aggressive hike next time out. All the best while walking around!